The Powerbox is the smallest yet the most powerful wax vaporizer featuring a 510 thread battery connection. The CloudV Powerbox features a strong 35W 1000mAh battery, a fully ceramic heating coil as well as dual quartz coil atomizer. This easy to use and maintain vape will soon become your favorite portable device you carry around for vaporizing wax. You can easily load up to 0.3-0.5 gram of materials in the chamber, press the button and activate the heating element. The Powerbox kit includes: 1 x 35W battery, 1 x Ceramic Coil Atomizer, 1 x Dual Quartz Coil Atomizer, 1 x Mouthpiece, 1 x Silicone Jar, 1 x USB Charger, 1 x Owner's Manual. How to Use The CloudV Powerbox is very easy to use and maintain. Once unpackaged, it is recommended that you charge the battery for at least 2 hours. This will condition the battery for future charging during its lifespan. When connected to the charger, red LED light will be on. Once the battery is at its full capacity, the charging will stop. To lock/unlock the battery, you need to click the button 5 times in sequence. Secure the atomizer with coil onto the battery, load the chamber and place the mouthpiece on it. Press the button to activate the coil. Maintenance Cleaning is required to maintain the CloudV Powerbox. Remove the atomizer from the battery and using alcohol wipes, clean the mouthpiece and the atomizer. It is recommended to change the coils every 2-3 months to maintain the performance. WarrantyCloud V Enterprises warrants CloudV Powerbox’s battery for six months that it is free of material defects and workmanship. If the battery is found to be defective, the sole liability from Cloud V is to repair or replace the defective battery with a properly functioning one. 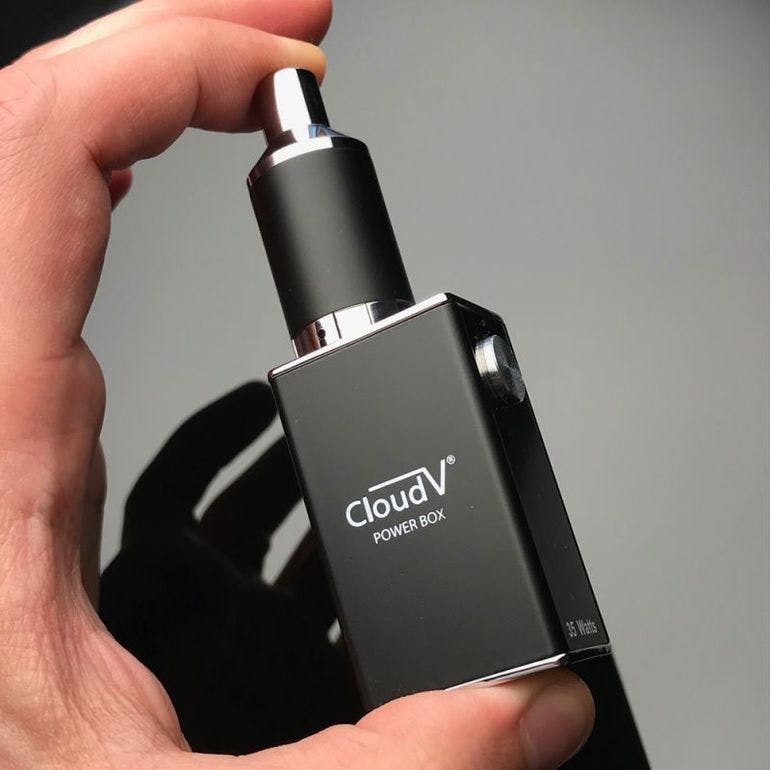 Warranty does not apply to atomizers or if the unit is used with non-Cloud V certified or approve products.CautionsWhen not in use, you should store your Cloud in a safe place to avoid accidental activation. You should not leave your charger plugged in or unattended in a hot area or near flammable objects as this could be a fire hazard. You should keep your Cloud Powerbox away from water or any other liquid and away from any environment involving strong acids, alkaline or combustible material. Please keep this out of reach of children and pets. More info at: https://cloudvapes.com/power-box-wax-vaporizer. SpeedyTree is a CloudV Authorized Distributor.